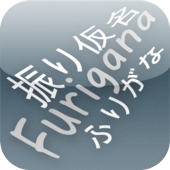 This application can notate Japanese Kanji with Furigana or Romaji reading aids. *Internet connection is require for Furigana/Romaji conversion, except Pro version support offline conversion. Customizable font size for the text and Furigana/Romaji. Night mode for better reading in the dark. 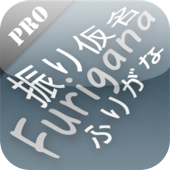 Handwriting support for inputting Kanji and Kanas. Japanese translation to more than 30 languages. Supports printing the result via AirPrint.